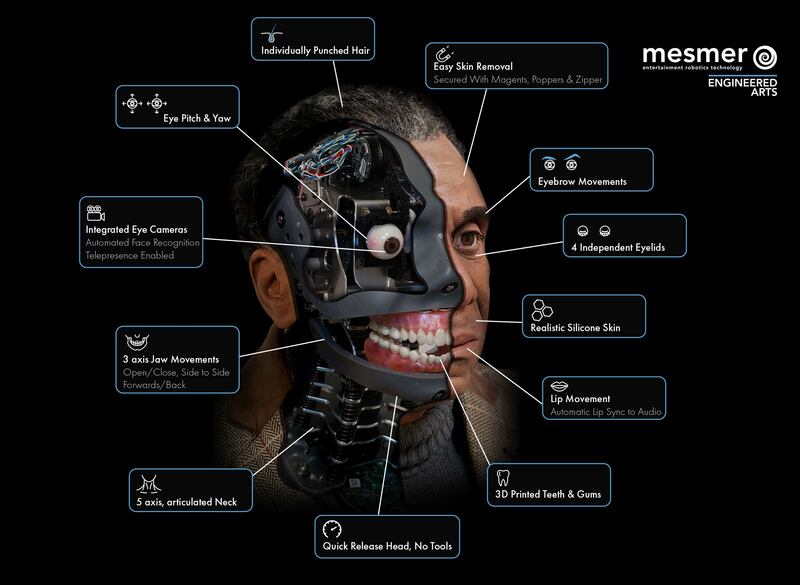 Mesmer is a system for building lifelike humanoid robots – all the parts that are needed to breathe life into a character. Most importantly all of these components were designed from scratch by Engineered Arts specifically for humanoid robots, so everything fits and works together in perfect harmony. Other companies use a hodgepodge of bits from various vendors that often don’t work well together. Mesmer is powerful, elegant and cost-effective because you are not paying for multiple profit margins that inflate the price. We have designed our mechanics to closely mimic human anatomy. A neck with vertebrae that curl and twist. These beauties are more than skin deep.Character animation requires smooth quiet motion. So we developed our own powerful, silent, high torque motors to meet the challenge.With state of the art integrated controllers, every motor has full control of speed, acceleration, torque and position. Motion without compromise. TinMan, the telepresence software that transformed RoboThespian, will soon be an option on all Mesmer robot systems. Have thrilling conversations with your visitors. Create an interactive experience they will never forget. And because Mesmer is built on the same software foundations as RoboThespian and SociBot – when they improve, so does Mesmer. With Mesmer, robot animation has never been this intuitive. 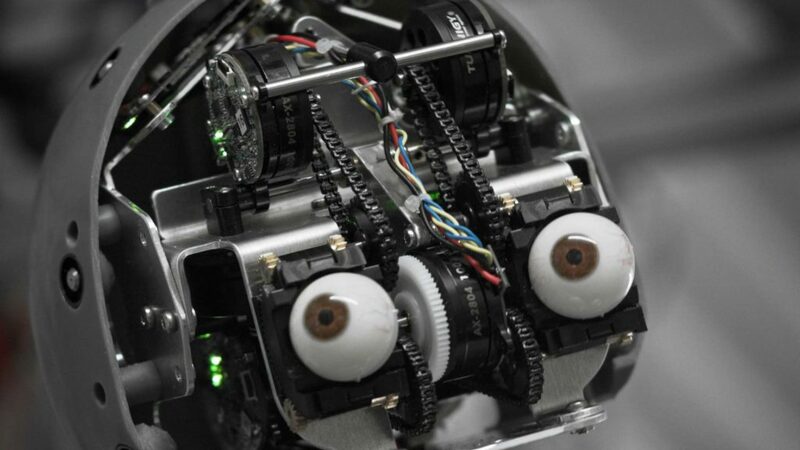 Robotics is no longer the domain of coders and IT geniuses. 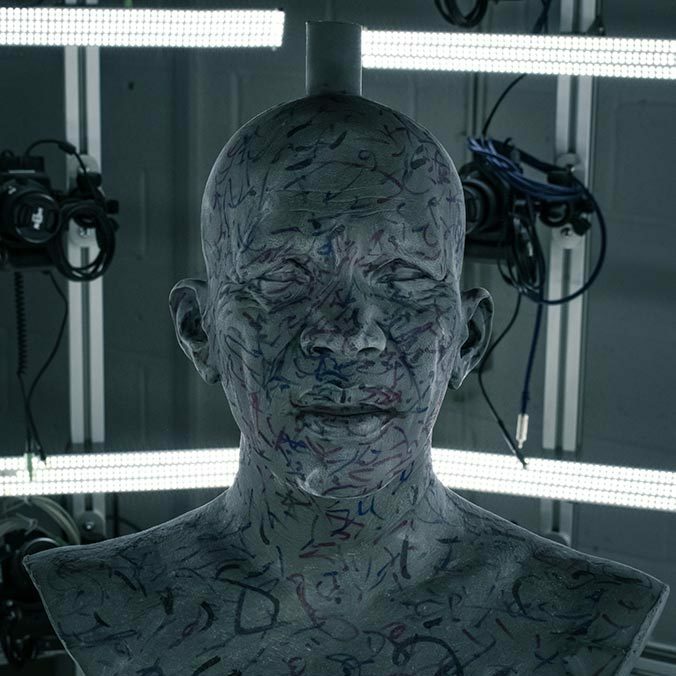 Mesmer’s Virtual Robot software hands control to the artists and creatives. 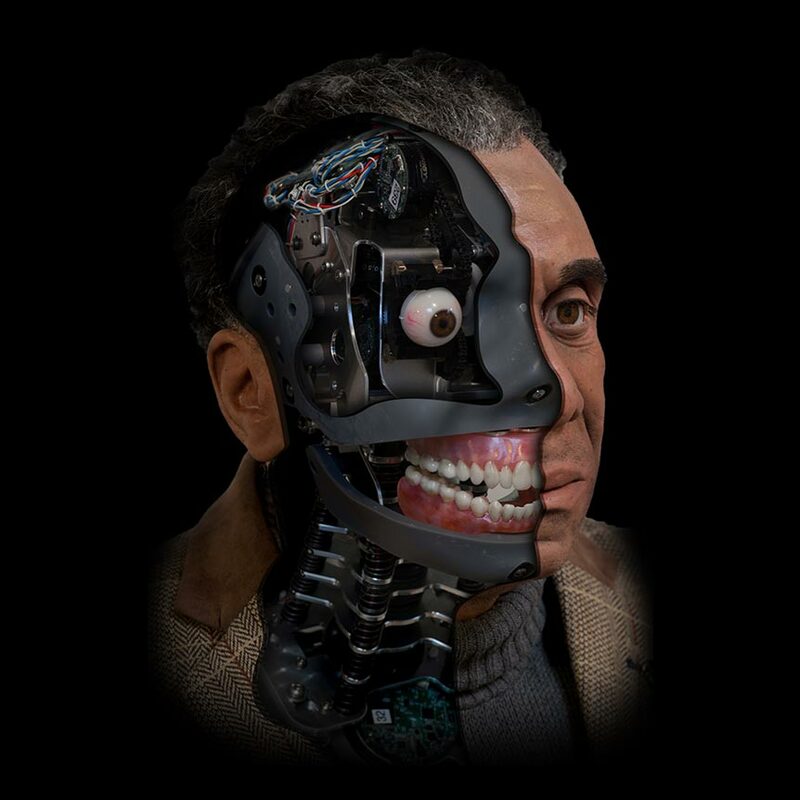 An accurate 3D model that lives in your browser, mimics the capabilities of your real robot. 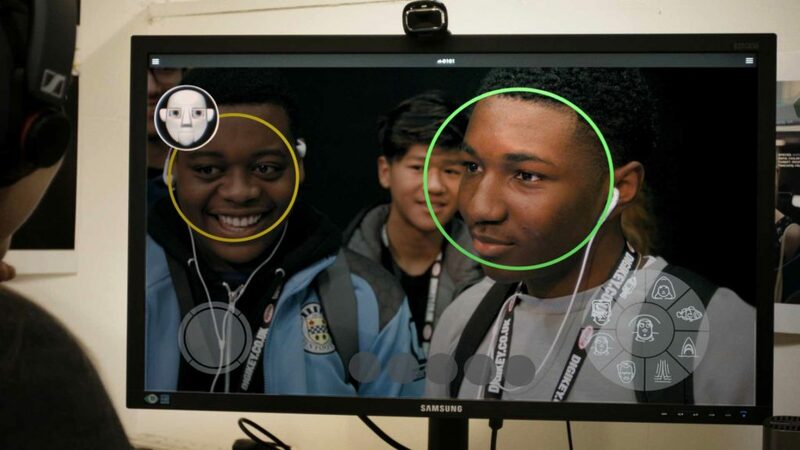 This coupled with human-friendly animation tools, including keyframes, drag and drop movement and instant playback. No more plotting points on a graph, or having your vision poorly executed by a technician. Once you’re happy with your work, instantly transfer to the robot, whether you are in the same room or the other side of the world. With Mesmer’s Virtual Robot, if you can dream it, you can create it. Maximising characters uptime is imperative to ensuring return on investment and keeping visitors happy. Mesmer is an internet connected system meaning timely remote support can be completed easily. Our robots are also designed with easy access to internal workings without damaging the external skins, which keeps costs and downtime to a minimum. We use a custom built 3D scanning Photogrammetry Rig, in-house. 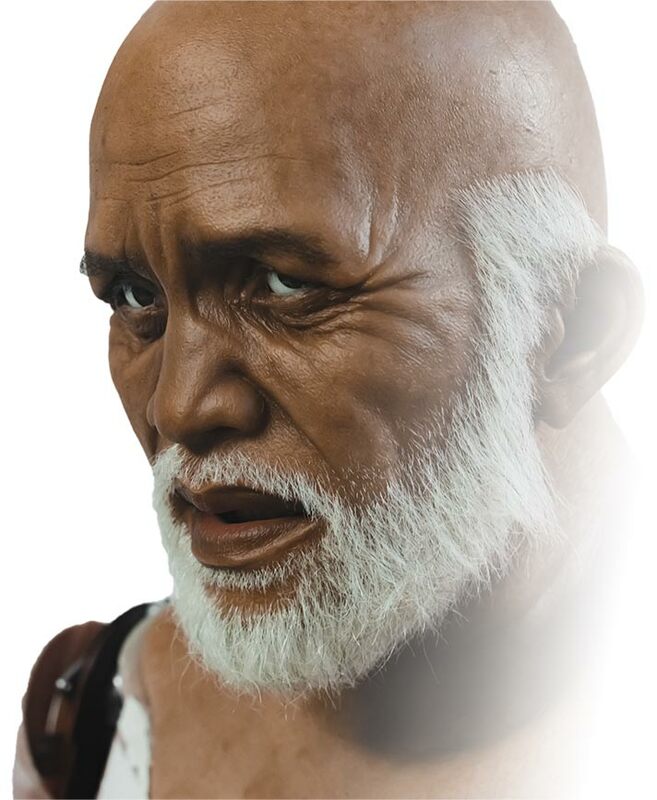 To create accurate and unique models of our subjects. Meaning you can capture many expressions from your subject rather than just one life mould. 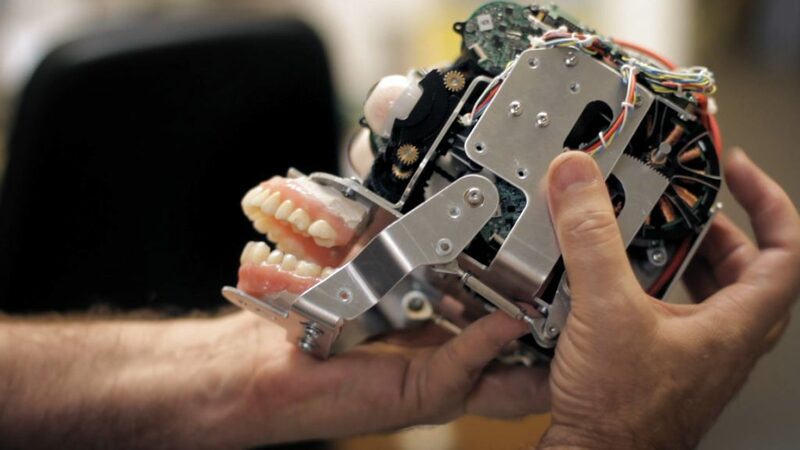 This also allows us to quickly engineer the internal workings of the robot to fit the individual and organic dimensions of a human face. 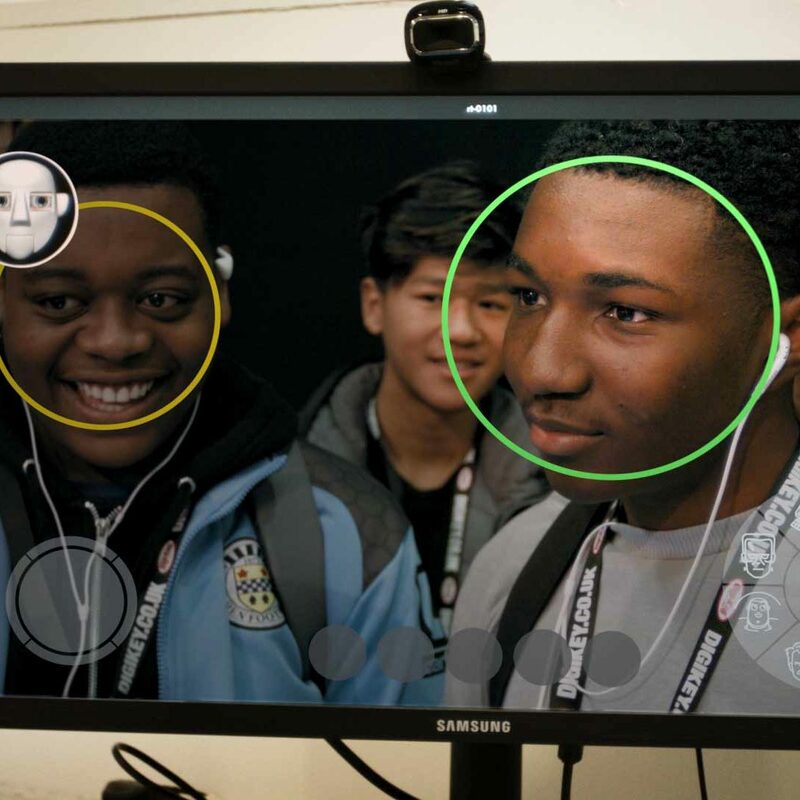 This removes all the guess work, and provides you with a better working robot, an extremely accurate face, and less trial and error. Secured by end to end encryption, every motor and every sensor is an internet connected device. Which means these characters can be controlled, monitored, reprogrammed and maintained remotely from anywhere in the world. Right down to the last eyelid. This means any problems can be instantly diagnosed. Most of the time, these can be fixed on the spot. If not, a timely and cost-effective solution is provided. On top of all this. TinMan. 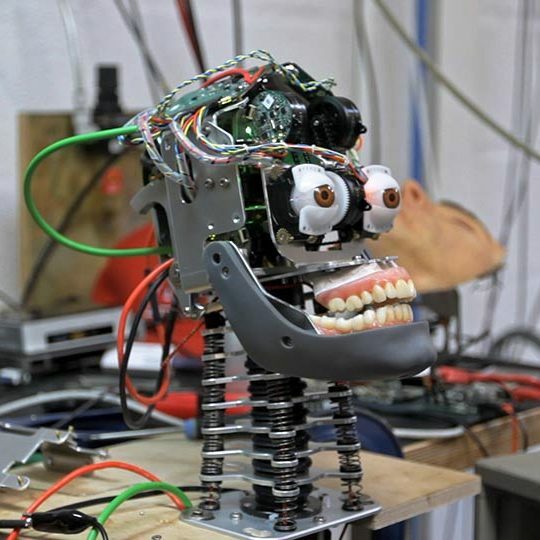 The telepresence software that transformed RoboThespian, is an option on all Mesmer robot systems. Engage your visitors with thrilling conversation. Create an interactive experience they will never forget. 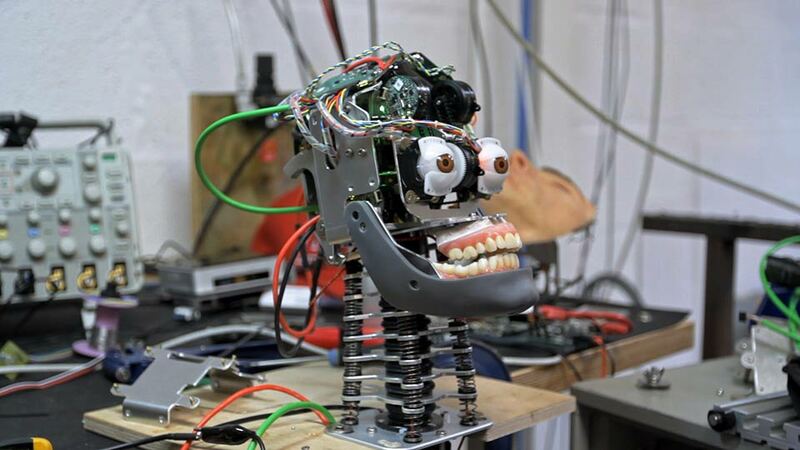 Intuitively inhabit your robot, ask questions, answer them, crack jokes, trigger pre-programmed content. All from the comfort of your browser. It is impossible to place a one size fits all price on a Mesmer system. Prices are largely be dictated by character type and list of required specifications. 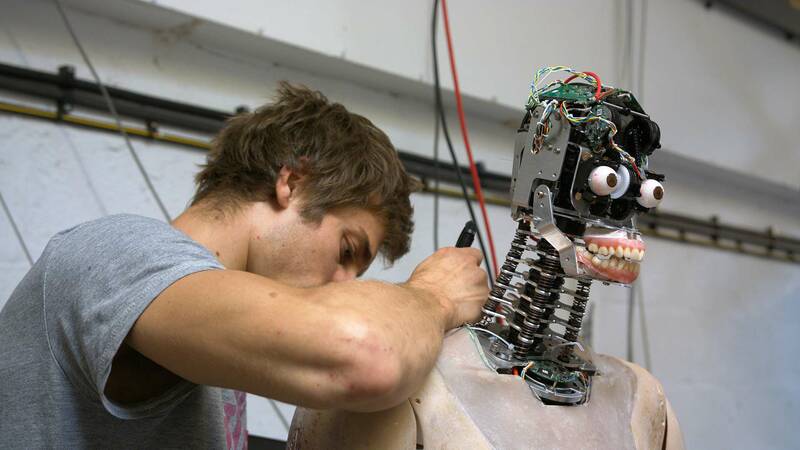 However, prices are comparable to animatronics companies already out there, with the additional benefits provided by our software infrastructure. Feel free to contact us to run through your ideas or requirements, and we’ll help you decide on the correct course of action and an idea of pricing.